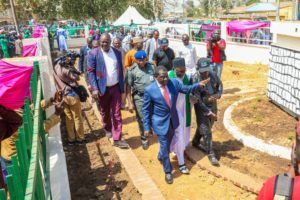 The commissioning of the Garden of Forgiveness and Peace by the Governor of Plateau State, Rt. 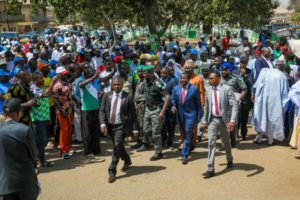 Hon, Simon Bako Lalong, has drawn more support for him in his quest for a return bid to the Government House Rayfield. 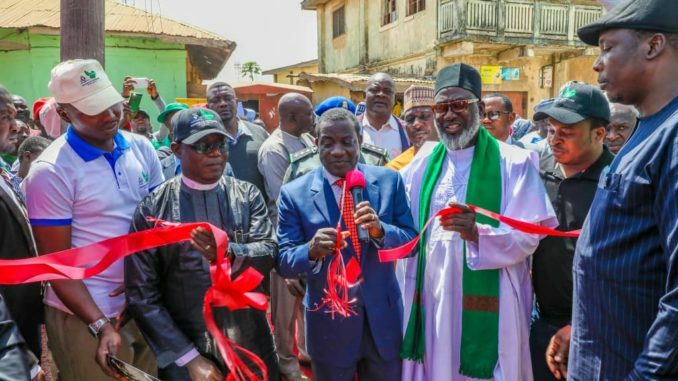 You would recall that the Governor on the 7th of February, 2019, while marking Forgiveness Day, commissioned a Garden of Forgiveness and Peace at the center of Jos city in Jos North Local Government Area of Plateau State, as he continues to canvass for vote for the forthcoming gubernatorial election from citizens of the state. 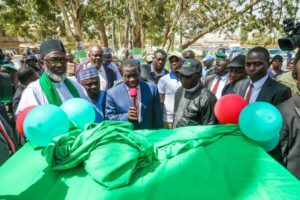 Pundits told REALITY that this singular act of Governor Simon Lalong would attract more peace lovers to support the return bid of the governor. 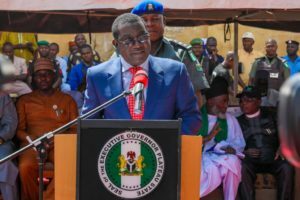 However, for Governor Lalong, the day marks a milestone in the history of the Plateau people because, “It is our Forgiveness Day”. 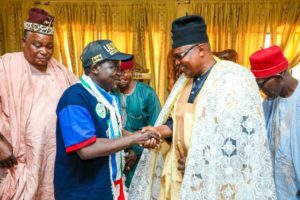 According to the Governor, “It is a day we have set apart to reflect on our journey as a people and having in mind the various crises that have bedeviled our dear state from 2001. Many lives have been lost, properties have been destroyed and relationships severed and development negatively affected. “We are pained by the losses of the past. “We are pained particularly by those who lost their lives and those whose memories are saddened by this development. This is to say the least a sad commentary on our State, which is known for peace and tourism. 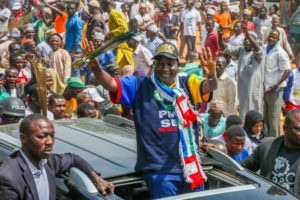 “Though we lack capacity to right the numerous wrongs, but we can chart a new path and rewrite our narrative as peace and this is what we have set to do today”. 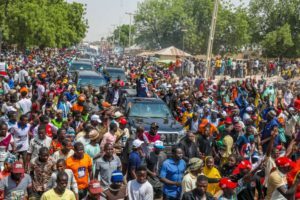 In another development, a show of love for Governor Lalong, was registered in Wase and Langtang North LGAs, as stakeholders from the Royalty to the fellowship and All Progressive Congress (APC) faithful, took turns to prove that their LGA is truly the home of the APC , as they welcome the campaign train of the Governor Lalong . 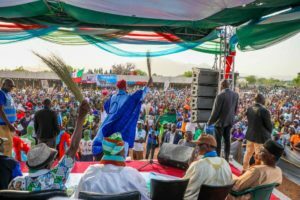 Today marks a milestone in our history as the people of Plateau State. This is because it is our Forgiveness Day. 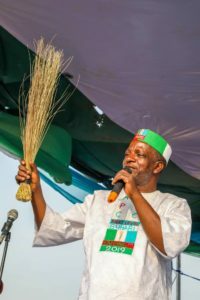 A day we have set apart to reflect on our journey as a people and having in mind the various crises that have bedeviled our dear state from 2001. 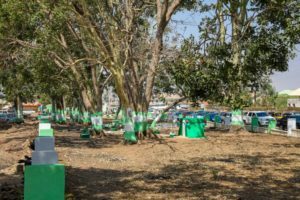 Many lives have been lost, properties have been destroyed and relationships severed and development negatively affected. We are pained particularly by those who lost their lives and those whose memories are saddened by this development. This is to say the least a sad commentary on our State which is known for peace and tourism. Though we lack capacity to right the numerous wrongs, but we can chart a new path and rewrite our narrative as peace and this is what we have set to do today. 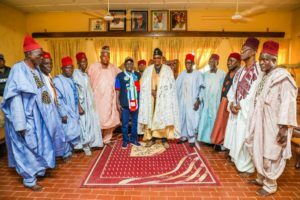 However, today is an auspicious moment knowing that Plateau will breath fresh air and will henceforth tow the path of peace and development. Forgiveness will eclipse all the wrongs of the past and move to a new dawn and restoring confidence in our future as a people. This Forgiveness Day will etch us on the annals of history and our generations unborn will rise to celebrate us for taking the path of forgiveness and breaking forever the circle of violence that has engulfed our beloved state. As the Governor and Chief Executive of State I stand on behalf of the good people of State to ask for forgiveness from every child that have lost their parents in our intolerance of each other. We ask for the forgiveness of every woman that lost her husband in the course of our madness which is better forgotten than remembered. We also ask for the forgiveness of all who have lost their relatives (brothers, sisters, uncles, aunts, cousins, nieces) while this negative side of our history lasted. To security agencies who lost their personnel during this period, we are sorry and ask for your forgiveness. To all those who are not mentioned above but nevertheless were victims, we say we are sorry and ask for your forgiveness. Forgiveness is divine as taught to all believers by the Messiah Jesus Christ thus Forgive us our trespasses as we forgive those who trespass against us (and we believe that what we are doing today will usher in a new spirit and healing in our dear state and help us to connect back to the path of progress and development. We strongly believe that with this day of forgiveness, we as a people will not allow this better forgotten negative part of our history to rear its ugly head again. 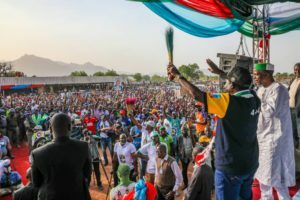 My dear people of Plateau as my late paramount ruler of Gomai Nation once said during the signing of Yelwan Shendam Peace Affirmation in 2005 ‘I have forgiven anyone who has done me wrong from the bottom of my heart’, in this spirit I have forgiven anyone who has offended me and I plead that if I have wronged anyone, I ask them to find a place in their hearts to forgive me. “If My people, who are called by My name, shall humble themselves, pray, seek, crave, and require of necessity My face and turn from their wicked ways, then will I hear from heaven, forgive their sin, and heal their land.” 2 Chronicles 7:14 . 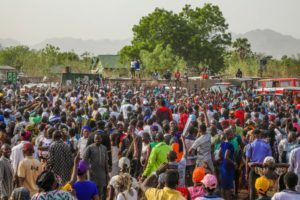 I appeal to all the people of Plateau State to take this message of forgiveness to all nook and cranny of the state from home, hamlet, villages, and local government areas to exchange vengeance with forgiveness. 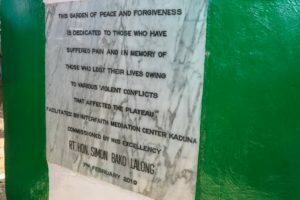 This garden of peace and forgiveness is dedicated this day 7 February to those who are experiencing pain and in memory of those who lost their lives owing to various violent conflict that affected the Plateau. Therefore I hope that this garden of peace and forgiveness will serve as a safe place where all form of anger and misunderstanding will be resolved and the exchange of flower of forgiveness blossoms. 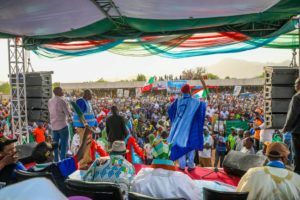 I see a new Plateau where everybody inclination is respected and accepted, a Plateau where our differences will rather unite and strengthen us than divide us; a Plateau where peace and development will form and remain our culture and tradition.